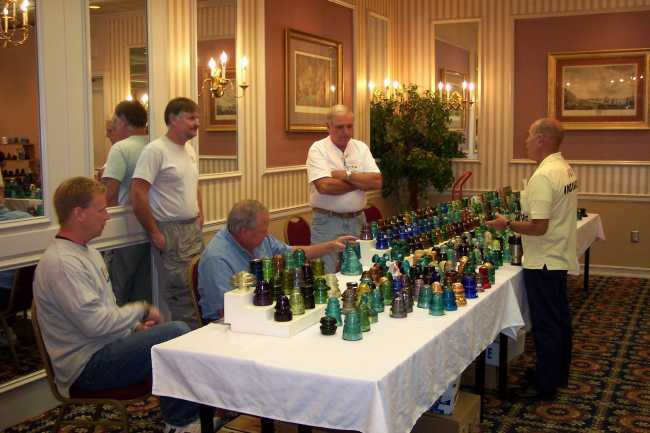 Insulator Shows (2005 Eastern Regional) > Eastern Regional "Who Need's eBay?" Eastern Regional "Who Need's eBay?" Who needs eBay when these 3 guys roll into town. Seated from L to R are Tobey Sweet, Jack Roach, and Doug MacGilvary. There was plenty of glass to around at this years eastern regional. Get out and support your local shows!